Löderups Äng is suitable not only for week-long stays, but also for weekends. 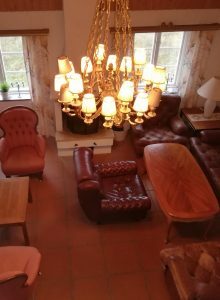 Why not choose Löderups Äng as the location for a bachelor or bachelorette party? For 25 persons, the price is SEK 91 kr/day/person during low season or SEK 143 kr/day/person during peak season. Not even a hostel is cheaper. 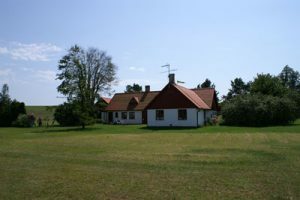 At Löderups Äng, you also have access to a pool, bikes, and the opportunity for privacy and cooking. Löderups Äng is perfect for company events and kick-offs. The property fits 25 people. Most beds can be moved. We are glad to help out with supplying bedsheets, towels, etc. Catering is also possible. There is a lot of space for gatherings and conferences. Rent from 2 nights. Why not celebrate a birthday or wedding anniversary at Löderups Äng? Or arrange a family gathering? 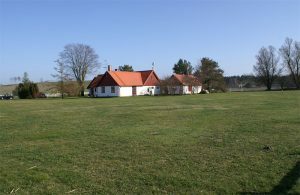 Löderups Äng offers 3 houses – all with their own kitchen and washrooms. There are also several common areas that are optimal for social gatherings. 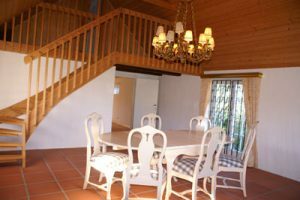 There is room for 25 people to have dinner together in the main house. The tables can also be separated.